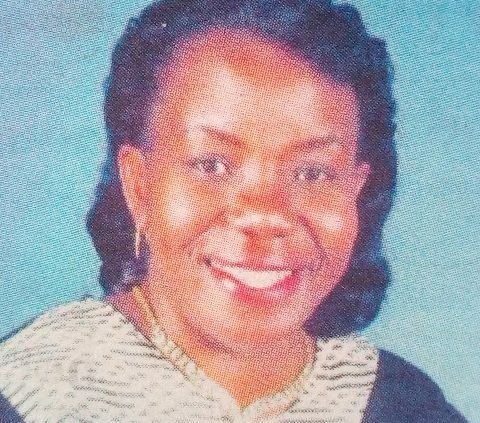 It is with humble acceptance of God’s will that we announce the Death of Joan Wamalwa Mukhongo, Principal of Waware Day Mixed Secondary School, Mbita Constituency (formerly principal St. Mark Bukiri Secondary School), which occurred on 2nd February 2019. Wife of the late Bob Mukhongo. Mother of the late Cecil Byron, Gloria Salome (St Elizabeth Hospital, Chiga) and Tony Gabriel Mukhongo (UoN, Kisumu Campus). Grandmother of Tuzinde Namaindi. Daughter of the late Eli Namaindi and Salome Auma Wamalwa. Daughter-in-law of Hannington Mukhongo and Winnie Awuor. Sister of Nellie, Benard Wamalwa (Speaker Busia County Assembly), Elizabeth (Formerly of KQ), Priscilla, Gerald (Mellech Engineering), Reuben and Albert. 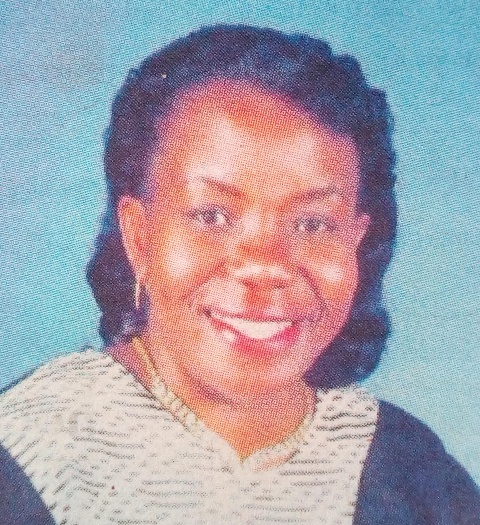 Niece of Eserea Majanja, the late James Khalonyere Wamalwa, Rose Ouko, Margaret Wandera and the Makios. Sister-in-law of Levis Majale, Jemimah, Harrigan Mukhongo, Rose and Ruth Mukhongo amongst others, Aunty of Derrick, Dennis, Martin, Edel, Xavier, Eilleen, Tony, Darlyne, Noela, Sasha, Anaya, Nuru, Cecil Jr, Tehila, Shani. There will be a fundraising on Tuesday 12th, February 2019 starting at 5pm at United Kenya Club, Nairobi. 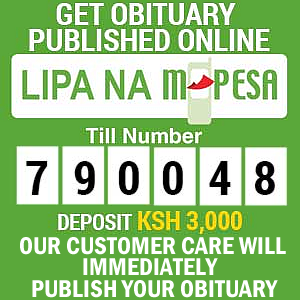 Contributions may be sent through Safaricom Paybill Number: 508704 Account Name: Leave blank. The cortege will leave Sega Mortuary on Thursday 14th February 2019 for a requiem mass at St. Cecilia Dahiro Catholic Church at 1.00pm. Burial is on Saturday 16th February, 2019, in Buduta village Samia, Busia County.